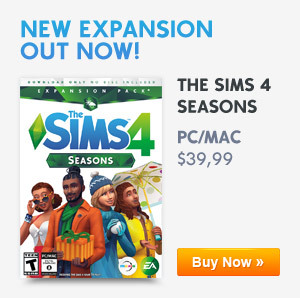 Patches for The Sims 4 are downloadable through Origin. If you have automatic updates turned on it will start automatically. If not, you can turn on the automatic updates or download the patch manually. Note: When you have The Sims 4 running you have to close the game first. Step 2 – Right click on The Sims 4 and click Check for Update. Step 3 – If there is an update click Update to download the latests The Sims 4 patch. And you’re done! This is also the best option when you have Origin running when the patch is just released. Step 3 – Under General there is an option Automatically keep my games up to date (Below Updates) Check this box. Turning on automatic updates is highly recommended for game fixes and free content in the game. I clicked on the check for updates and it says that I am up to date but I still don’t have any dishwashers in my game play? This is really weird Chloe…Try uninstalling and installing the game again, and check If your Internet connection works properly, hope this helps!